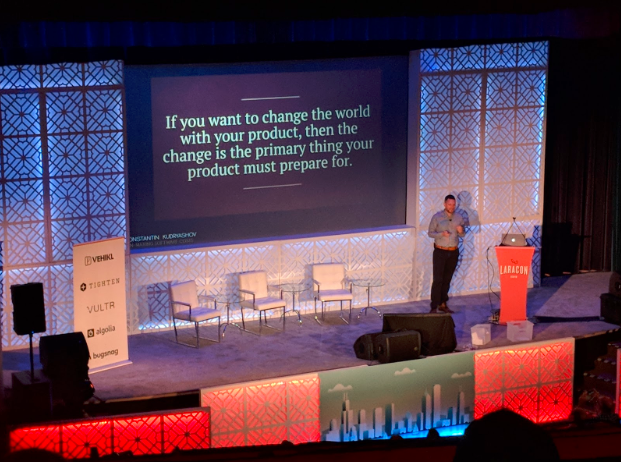 The past two days, fellow envisonit developer Mickey Freeman and I attended Laracon 2018, at the Museum of Science and Industry in Chicago, IL. 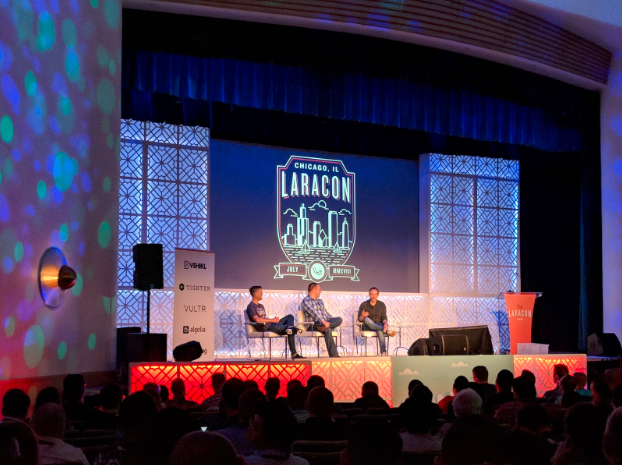 Laracon is an annual conference for people who are passionate about building applications using the Laravel web framework. 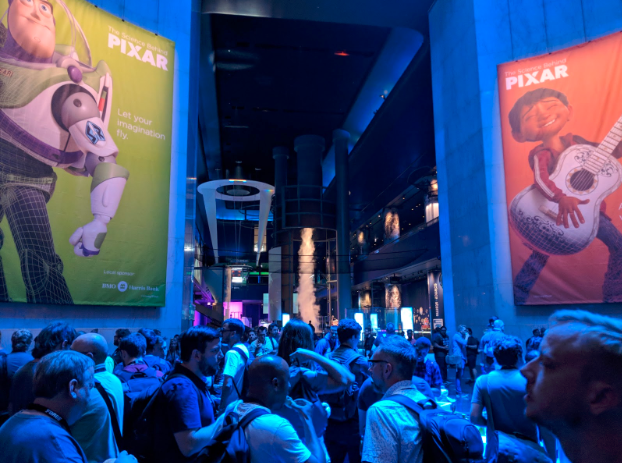 I enjoyed the opportunity to meet some of the 850 developers in attendance from across the globe and found the talks to be both informative and entertaining. There was also a lot of fun to be had with prize giveaways, Laravel socks, and after parties. It was a great event and I wanted to share some of my experiences and key takeaways. 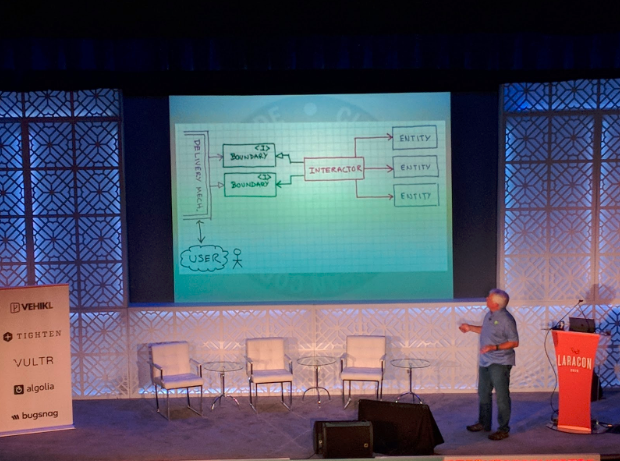 The first day started off strong with Adam Wathan’s discussion on avoiding complexity in our code. The core concept was that objects should be able to accomplish tasks themselves (“a plant can be watered”, not “a gardener can water a plant”). He also touched on how invocable methods can help us simplify our controllers. I immediately felt the need to revisit my code to eliminate unnecessary dependencies. Jason Fried participated in a Q&A session with Adam Wathan and Justin Jackson focusing on life at Basecamp and their elimination of real-time communication in order to improve productivity. While this approach may not work for every team, I think we could all benefit from reducing disruptive over-communication and remember that most notifications are not urgent. 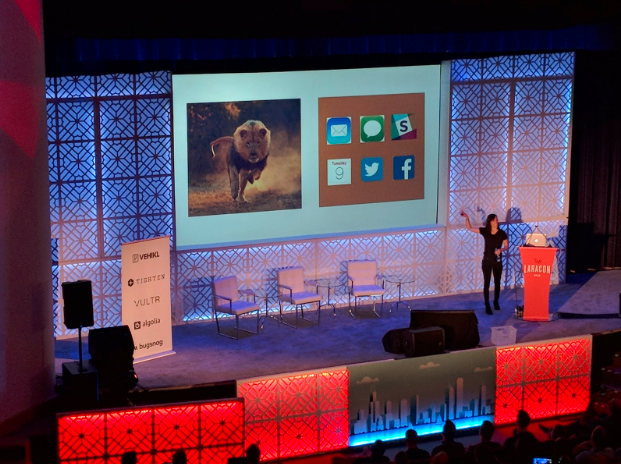 The much anticipated keynote delivered by Laravel founder Taylor Otwell exposed the world to Laravel Nova (no, it is not a new cryptocurrency or developer dating app). Deploying in August 2018, Nova is an administration panel for Laravel, and it will be a game changer. With simple reporting, customization, relationships, and permissions out of the box, Nova is a big step up from existing administration panel packages. Watching the demo from Taylor really showed how much thought and experience went into the design and development of Nova. I look forward to what the community builds to compliment Nova once it is released. The day started with Jocelyn Glei, host of the Hurry Slowly podcast, talking about how we can improve productivity and reduce fatigue. She spoke about the importance of making progress in meaningful work throughout the day and how checking notifications provides “empty calories”, leaving us unfulfilled at the end of the day. 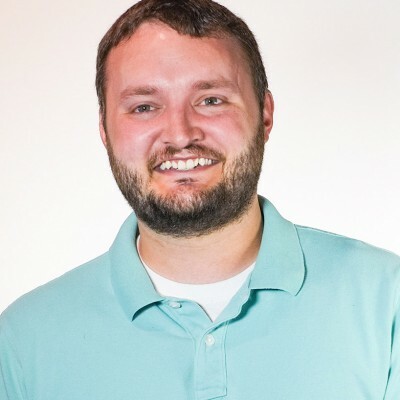 Up next was Matt Stauffer, partner & technical director at Tighten, who spoke (very quickly) about how we can simplify our code using response objects and other design patterns. He emphasized the importance of designing your product in a way that is easily changed, in order to be able to adapt to a changing world. This is definitely one I will be rewatching many times once it is released after Laracon AU. Robert C. “Uncle Bob” Martin gave an unapologetic presentation on the origins of the moon, the dot-com bust, how much the world depends on developers, and the importance of code architecture. His unique talk put in perspective how much developers impact our daily lives (computers are in nearly everything) and the responsibility we have to get things right. 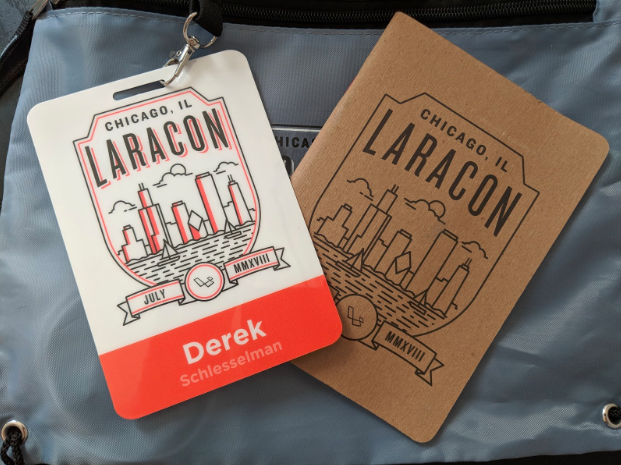 I thoroughly enjoyed my time at Laracon, and there were many valuable experiences not covered here. I would recommend any developer (whether they work with Laravel or not) attend Laracon if they have the opportunity. You will certainly find me at the next one in the U.S. I left inspired and ready to dig into some code with my newfound knowledge. It’s clear that Laravel is going to be around for years to come, and we will continue to have a framework that allows us to focus on solving complex problems. Perhaps more importantly, we will have a great community that lifts each other up and provides powerful tools and guidance for other developers. I can’t wait to see what comes next.